Nintendo Wii U gamers look away now, we've got bad news. 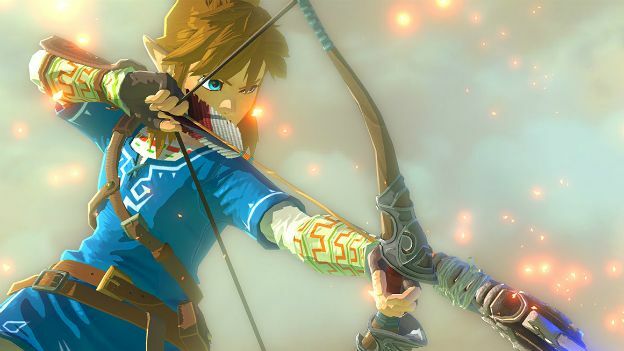 It looks like that long-awaited Legend of Zelda game won't be released until 2016. While the PS4 and the Xbox One continue to print money for Sony and Microsoft, the Nintendo Wii U trails in last place. And to make things worse, its Zelda game has now been delayed. Series producer Eiji Aonuma revealed in a Facebook post that The Legend of Zelda Wii U game has been pushed back into 2016, but for good reasons. "In these last three months, as the team has experienced firsthand the freedom of exploration that hasn't existed in any Zelda game to date, we have discovered several new possibilities for this game," he explained. "As we have worked to turn these possibilities into reality, new ideas have continued to spring forth, it now feels like we have the potential to create something that exceeds even my own expectations." "We are no longer making our 2015 release our number one priority. Instead, our priority is to make it the most complete and ultimate Zelda game," he added. "I hope to use the added time to make The Legend of Zelda for Wii U into a game that will reward you for your patience." While this is hardly the news that Wii U gamers want to hear, at least Aonuma promises bigger and better things in the long run. Nintendo of America further added on Twitter that the game won't even appear at E3 2015, which suggests there's a massive U-turn being made on the game. Despite excitement building for the new Zelda game, the damage has already been done for the Wii U. Nintendo has only shifted around 10 million units, which hardly matches the GameCube's 22-million sales mark.